I like my Halloween with a strong dose of cute and funny rather than scary. 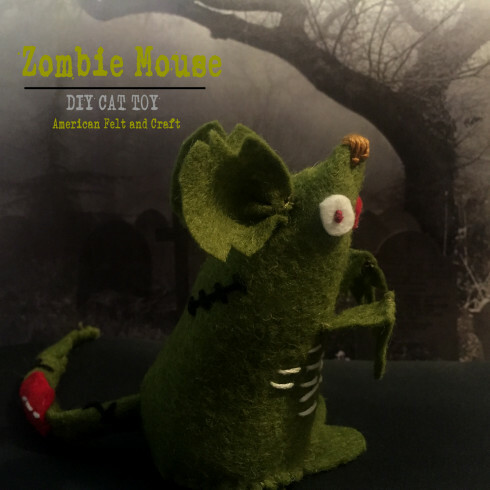 Since this Zombie Mouse Cat Toy Sewing Pattern literally made me laugh out loud, I had to share it with you! It’s a simple hand-sewing project with a free pattern included, though of course, you can add or change the zombie details to suit yourself. The little zombie arms crack me up!